Prenatal measurement of placental biomarkers was able to improve screening and diagnosis of preeclampsia. Little is known about the clinical role of placental biomarkers in the postpartum period. This study is a prospective monocentric trial that included a total of 30 women with preeclamptic pregnancies. Serum placental biomarkers including soluble fms-like tyrosine kinase 1 (sFlt-1) and placental growth factor (PlGF) were measured before and 2 h after delivery by Enzyme-Linked Immunosorbent Assay (ELISA) using commercially available kits according to manufacturer’s instructions and correlated with the postpartum outcome. Postpartum higher serum PlGF level was associated with postpartum elevation of the systolic blood pressure. Yet, the placental biomarkers were not able to predict general worsening of postpartum preeclampsia or other individual clinical or laboratory parameters. Serum concentrations of sFlt-1 and PlGF or their ratio in our study cohort did not completely predict the occurrence of postpartum preeclampsia. Yet, postpartum higher serum PlGF level was associated with postpartum elevation of the systolic blood pressure. 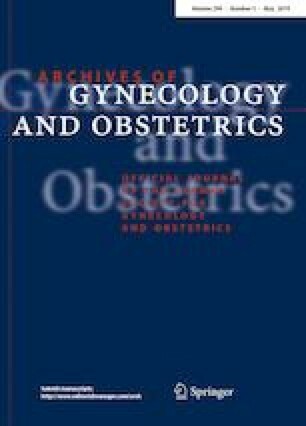 The authors would like to thank the Department of Obstetrics and Gynecology for providing the authors with the necessary logistical and financial support. AH: Conceptualization, methodology and project administration, validation of data and writing of the manuscript; CG: Statistical analysis; JCR: Formal analysis, reviewing and editing; EFS: Funding and supervising the project, reviewing and editing; JH: Recruitment, laboratory analysis; US: Conceptualization, Reviewing and editing; RB: Conceptualization, Reviewing and editing; RS: Data curation, reviewing and editing; ZT: Data curation, reviewing and editing; IJ: Reviewing and editing; RS: Reviewing and editing; GM: Reviewing and editing the manuscript; MK: Conceptualization, formal analysis, methodology, reviewing and editing the manuscript. The study and manuscript were funded by the Department of Obstetrics and Gynecology, University of Saarland.